Hello Nosh Show listeners! Hehehehe, just kidding, there's no new Nosh show this week but I did get to hang out with our podcasting buds CT, Pax, and Jeeg for their annual Nerdstradamus episode. We made 2015 predictions for TV, fast food / junk food, celebrities, and then we mix things up by doing some under/overs on Star Wars VII. 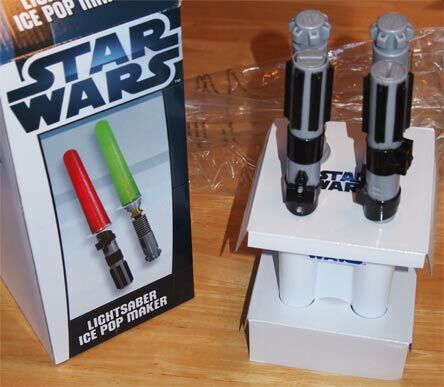 Speaking of Star Wars, I told the guys I would be reviewing the Star Wars Lightsaber Ice Pop Maker as part of my Nerd To-Dos. What? It was a Christmas present! So there are two of Vader's hilts and two of Luke's hilts in the box. Each takes two AAA batteries. 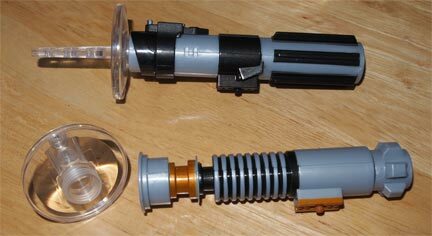 Side note, the directions say positive side in while the hilt label says positive side out. The hilts do not go in the freezer, but the screw tops do. The popsicle directions recommend going with canon colors, so I used green gatorade tropical cooler and reddish ocean spray berry medley wave, both were terrible choices. Tropical cooler tastes like pineapple lime jello mold and berry medley is ok but too watered down for a popsicle. 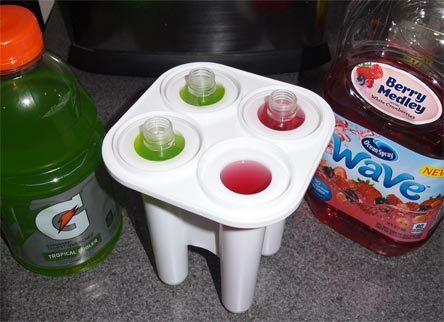 Oh, when filling, leave about a 1/4 of space at the top since the liquid will expand in the freezer. Technical details aside, they do work... more or less. The lights just aren't strong enough to go to the end of the pop. Sure, I could water them down to see if that helps, but what fun is that. 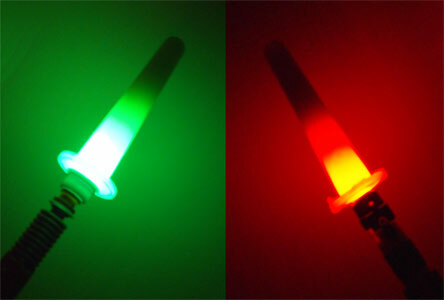 Oh, and the red hilt worked in either flavor, while the green only worked in the green (nothing shocking, but a good note for future reference). Oh, so thanks to the Mrs. for my Christmas present. If you want to grab them for yourself, she found them on thinkgeek. I still actually have two other ice cream related gifts to get through, but this fit best with today's theme. Oh #2, I could use your help. During the podcast, I was making the prediction about how every product now seems to come in every flavor, and then Jeeg found a way to kind of quantify this thought. Can you help me name a product that hasn't yet made the jump to multiple flavors yet but will in 2015. We have flavored Oreos and Triscuits and Pretzels and this and that, but what hasn't made the jump yet. If you can think of something, leave it in the comments.